There are two reports on the U.S. economy worth mentioning this morning. 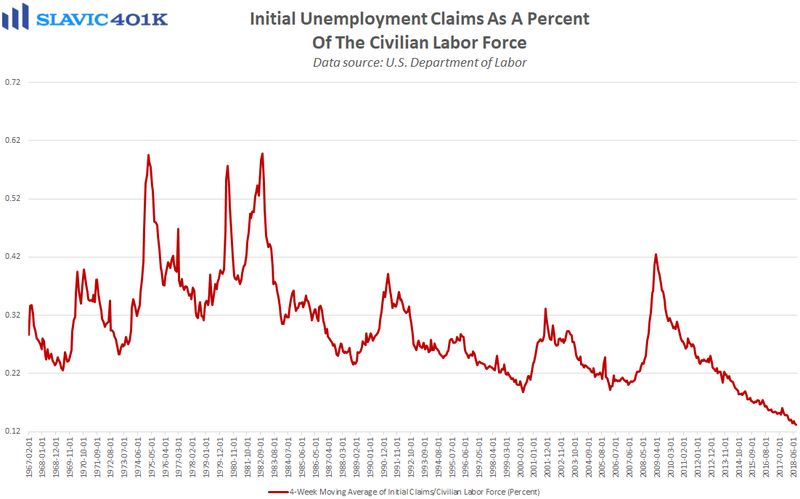 First, data from the Bureau of Labor Statistics showed that first-time claims for unemployment benefits fell last week by 6K to 213K, significantly better than expected. 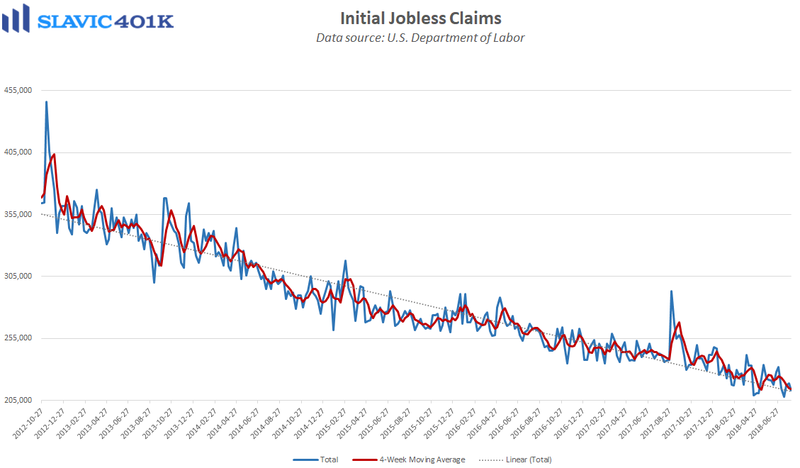 That was also the 179th consecutive week that initial claims have held below 300K, one of the longest streaks on record and even more impressive since the current workforce is much larger than it was in the past. 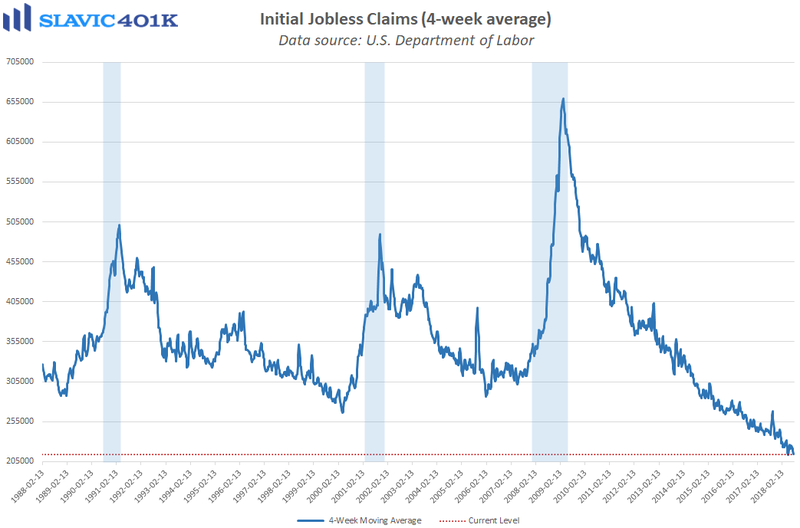 Further, the less volatile 4-week average for initial jobless claims held at one of the lowest levels in nearly half a century, an encouraging sign since this particular metric typically heads sharply higher ahead of a recession. Moreover, weekly initial claims figures remain consistent with an overall healthy labor market, and a shortage of skilled workers that is making companies hesitant to let employees go. As workers take notice of this favorable environment it will only put more pressure on businesses to boost wages and enhance their benefits offerings. 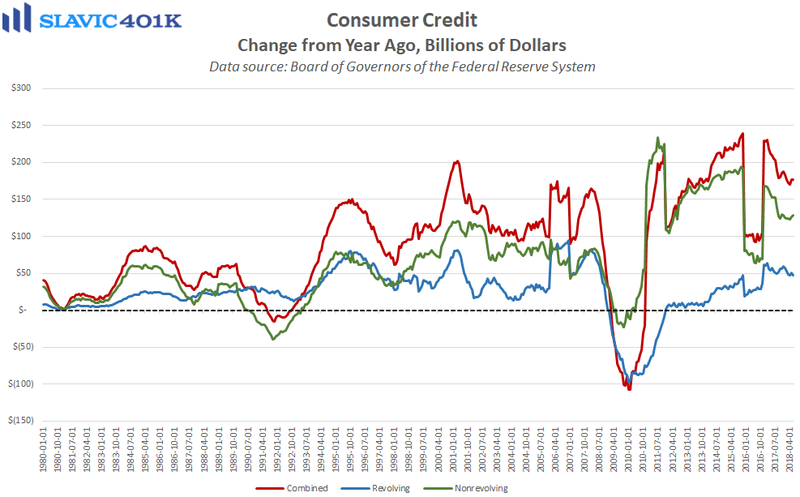 Elsewhere, a report from the Federal Reserve Board of Governors on Americans’ borrowing activity showed that total consumer credit outstanding rose by $10.21 billion in June (lagged release) to $3,907.59 billion. That was the smallest monthly increase since March and significantly worse than economists expected. Non-revolving credit (student and automobile loans) rose by $10.40 billion in June, while revolving credit, which is mostly consumers’ credit cards, fell by $0.19 billion. The latter is in one way encouraging since total revolving credit surpassed the $1 trillion mark last September. However, the decline was just fractional and not too surprising after a $9.59 billion jump in May. More importantly, many Americans have had to increasingly rely on credit cards to support their spending needs. The recent slowdown in revolving credit growth therefore suggests that stronger wage gains will likely be needed for consumer consumption, the largest component of U.S. gross domestic product (GDP), to continue to expand at an elevated rate.